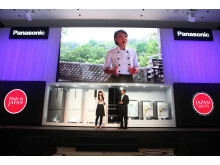 Panasonic Dealer Convention opened on 15 October 2015 at the JW Marriott Hotel in Hanoi and introduced a full array of Panasonic ‘Made in Japan’ and ‘Japan Quality’ refrigerators, washers and other household applications along with the new display concept which offer a combination of both functional and emotional value to satisfy customer demands. 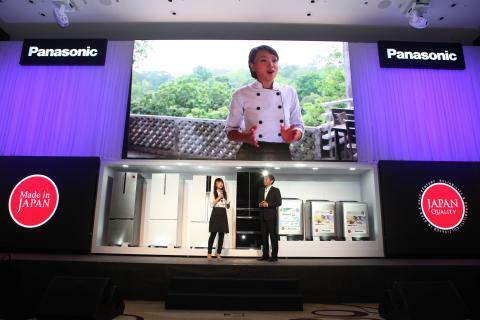 On stage of, the revelation of latest Washing Machines and Refrigerators products along with the surprising appearance of Minh Nhat– MasterChef Vietnam Winner season 2 - brought about a state of excitement among audience. Answering in the press conference, Mr. Eiji Fukumori states Panasonic commitment in Vietnam Market and also discloses the remarkable 130% increase in revenue of Panasonic Vietnam this quarter. “This October Convention aims to express our commitment to develop Panasonic’s appliances business in Vietnam as one of our strategic markets. With the combination of innovative technology, inspirational design and distinctive space, we aspire to bring premium lifestyles to consumers in Vietnam,” Mr. Eiji Fukumori, General Director of Panasonic Vietnam said. 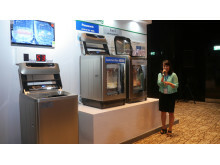 At the Panasonic Demo Corner, visitors could experience the full array of washing machines and refrigerators firsthand with actual operation demonstrated. For example, the all-new soft-freezing refrigeration technology Prime Fresh is introduced in seventeen new models amongst which ten are Glass Door models. With a taste testing display at the corner, visitors could truly experience the Prime Fresh technology and its ability to help food retain nutrients and freshness as well as delicious flavor and texture. 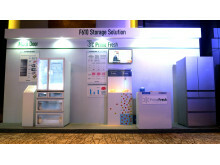 Also highlighted in the display were Panasonic’s new range of washing machines. With advanced foam wash technology that could successfully remove stains in less than three minutes, as well as a gentle hand wash function which allows delicate and dry cleaning wash mode, the new models not only increased in features but also attain 20% energy reduction and 9% noise reduction. “My family has been a loyal customers of Panasonic for generations. However, I’m still fascinated with the continuous development of the advanced technology introduced today” – Ms. Nguyen Le Huong a visitor commented after taking part in the experiment using Panasonic washing machines. 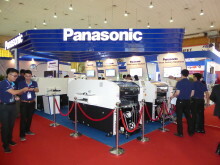 In the Panasonic Shop Corner, a variety of Panasonic products are presented using the new display concept “Fun of the quality from shop front.” The new concept maximizes the appeal of products on display and enriches the shopping experience to give a stronger impact to consumers of Panasonic full range of products and advanced product development.